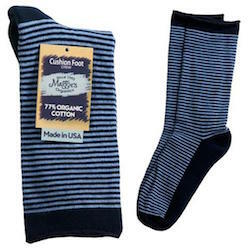 Maggie's Striped Cushion Crews take all-day comfort and hip style to a new level! Plush padded foot-bed cushions each step, yet thin enough for dress duds. Great for everyday wear.